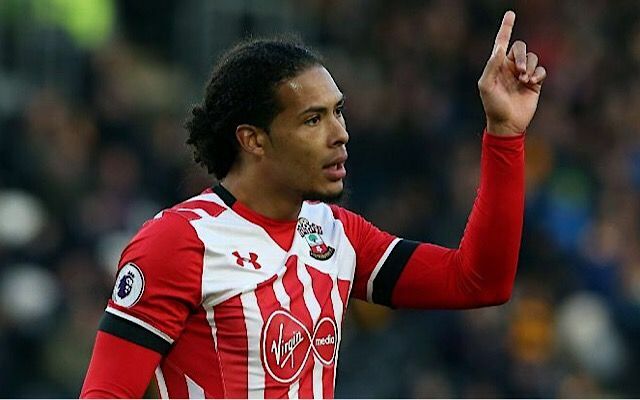 10 most expensive Premier League players ever: Where does Virgil van Dijk Liverpool transfer rank alongside Manchester United & Chelsea spending sprees? It may not surprise you to hear that Liverpool new-boy Virgil van Dijk is now among the most expensive Premier League players ever, but how high is he on the list? The Southampton defender will officially seal a £75million transfer to the Reds on January 1st, with it already well-documented that he’ll become the most expensive defensive signing in history. He also ranks pretty high in our all-time Premier League list, which features five transfers that went through in 2017 – which tells you all you need to know about how the market has exploded lately. Signed from Tottenham this summer, Kyle Walker has looked a great purchase for Manchester City, even if a few baulked at his price tag at the time. BBC Sport claim he cost an initial £45m, putting him 10th in our list of most expensive Premier League players ever. Another City player, BBC Sport list Raheem Sterling as costing £49m from Liverpool back in the summer of 2015. The England international may not have made the most convincing start, but he’s now one of the club’s most important players with particularly impressive stats on winning goals this season. Back when £50m was a lot of money, Fernando Torres moved between Liverpool and Chelsea for that amount, according to BBC Sport. The Spanish striker was world class at Liverpool but never really regained that form at Stamford Bridge, making him one of the most expensive flops in history. A pretty surreal fee to pay for a left-back, but there you go, BBC Sport claim Benjamin Mendy cost Manchester City £52m this summer to sign from Monaco. While the Frenchman is no doubt a fine player, City are yet to see a return on that investment due to the player’s struggles with injury since moving to the Etihad Stadium.